Of all nocturnal animals, only dung beetles can hold their course using polarized moonlight. 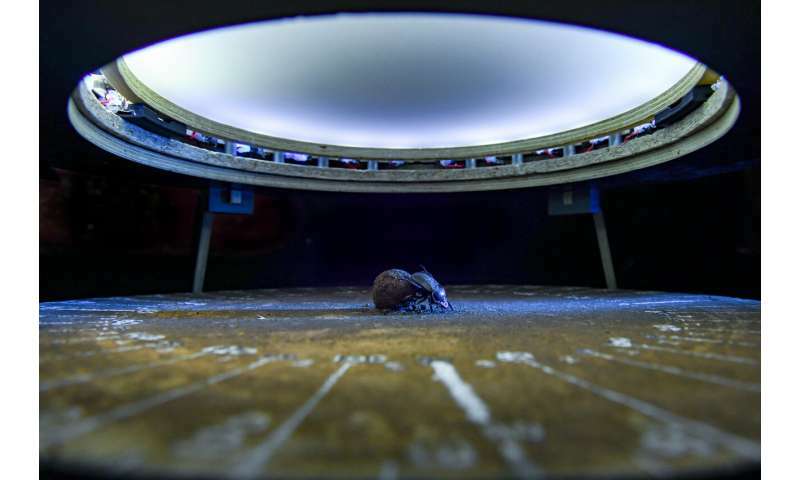 Researchers at Lund University in Sweden have now shown that beetles can use polarized light when its signal strength is weak, which may allow them to find their bearings when artificial light from cities swamps natural moonlight. "Our investigation reveals that these beetles would be sufficiently sensitive to orient themselves underneath a light-polluted city sky during a full moon. But they would be lost during a quarter or crescent moon," explains James Foster, researcher at the Department of Biology at Lund University. Moonlight becomes polarized when it strikes particles in the upper atmosphere on its journey to Earth. In the study, the researchers show that the strength of this polarized light signal changes depending on the moon's phase. Polarized light from a quarter moon is only one-third as strong as at full moon, and just one-fifth as strong for a crescent moon. "This is the very first evidence that the polarization of skylight changes over the lunar cycle," says James Foster. Together with colleagues in Lund, Germany, South Africa and the U.S., he tested how dung beetles cope with this weak signal at night when using polarization as their compass to roll a dung ball in a straight line across the African savannah. On clear nights, they perceive this polarized light in a blue sky like humans observe on a sunny day—but thousands of times darker. In experiments, the researchers showed that the beetles are extremely sensitive to polarized light. The dung beetles can cope with the weakest signals detected by diurnal insects, even when the polarized light is just one-thousandth as bright. 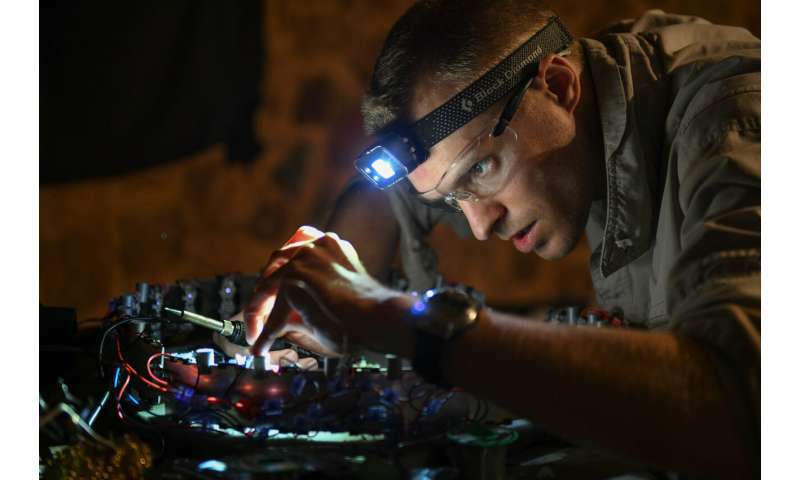 "They navigate just as well at night as bees do by day; bees also use polarized light," says Marie Dacke, professor at the Department of Biology at Lund University. The phases of the moon—full moon, quarter moon or crescent moon—thus affect how strongly polarized the sky appears. Light pollution is also a factor. Artificial light such as street lighting in and around cities reduces the polarization of the moonlit sky. Even so, the beetles are sensitive enough to hold their course using the resulting weaker polarization during a full moon. Besides polarized light, dung beetles use colour and brightness patterns in the night sky to get their bearings. The research team previously gained attention in connection with their discovery that dung beetles use the Milky Way as a compass reference, helping them to roll dung balls in a straight line in the dark. However, more recent experiments have shown that on moonlit nights, polarization is their most important compass reference.